What Role Will Robots Play in Smart Cities? Real-world robots are still very clumsy but this is changing fast. With smart city projects on the drawing board worldwide, cities are becoming more integrated with information and communication technologies; this would enable them to increase operational efficiency, share information with the public and improve both the quality of government services and citizen welfare. While it might seem like a distant future, smart city projects are already being planned. Here are some roles they will fill. Fully automated trash removal will certainly be a feature of smart cities. While there will still be a need for a human operator, self-driving garbage trucks will be able to follow a route mapped out in advance. 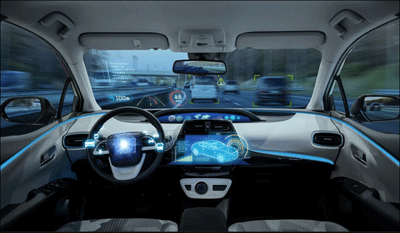 As well, new laser sensors are being developed to help these self-driving vehicles see their surroundings; they can easily navigate around tight urban and suburban streets while driving backwards, and outperform most human drivers. In Toronto, urban innovation organization Sidewalk Labs proposes transporting garbage in underground tunnels instead of in garbage trucks to reduce street traffic and greenhouse-gas emissions. Robots would then sort and haul the waste. Some may speculate that these vehicles are replacing human jobs, however, this not necessarily the case. While truck drivers are no longer needed, the advent of autonomous vehicles have led to opportunities for highly skilled workers such as robotics technicians and automation technicians to operate and maintain these vehicles. As well, these vehicles eliminate the more difficult aspect of garbage delivery that is currently done by humans, such as having to repeatedly climb in and out of the truck that could result in knee injuries. In fact, many trash haulers had to end their career because of workplace injuries, rather than retiring due to age. Eliminating manual labour can help individuals sustain their careers in the long run. With citywide sensor networks built in place, drones will be essential in providing situational awareness such as inspecting infrastructure and tracking traffic. 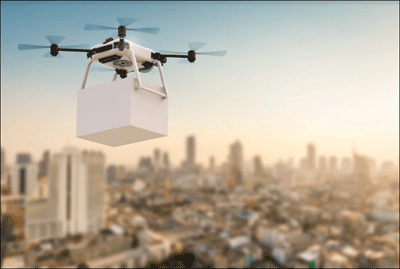 Initiatives such as the UAS Integration Pilot Program, is working to accelerate the safe integration of Unmanned Aircraft Systems (UAS), including drones, within smart cities. This initiative includes the development of air traffic management systems that integrate drones into the national airspace. When it comes to public transportation, we aren’t just talking about self-driving cars, but all transportation infrastructure including buses, subway trains and even boats. Sidewalk Labs, founded in 2015, is developing technology for alleviating urban problems; the company is working towards transforming Toronto’s Quayside waterfront neighborhood into a smart city, where driverless cars will play a huge role. Sidewalk wants to put narrower lanes in Quayside and carve out more room for sidewalks and parks. There would be less need for wider car lanes since driverless cars navigate more precisely and obey traffic laws more consistently than human drivers. Sidewalks also plan to have autonomous buses on city streets, in which these buses will rely on sensor information for changing lights and signaling to cyclists and pedestrians. Collecting data from traffic sensors can also be valuable to urban planners and enterprises when it comes to testing and investing in infrastructure. Robots will be a critical enabler of the rise of hyper-connected smart cities. In countries facing aging populations and labour shortages, their rise could come sooner than you think. Online courses in robotics is one of the best ways workers can join this growing trend that is only set to accelerate. Find out more about our robotics curriculum and how you can get ahead.